You survived the Alphas. You survived the Betas. STRAIGHT FROM THE DEVS: MONTREAL, CANADA - March 1, 2018 - Now, get ready to fight on a whole new platform! Scavengers Studio is excited to announce that Darwin Project will launch on Steam Early Access on Friday, March 9, 2018, retailing for $14.99 USD. 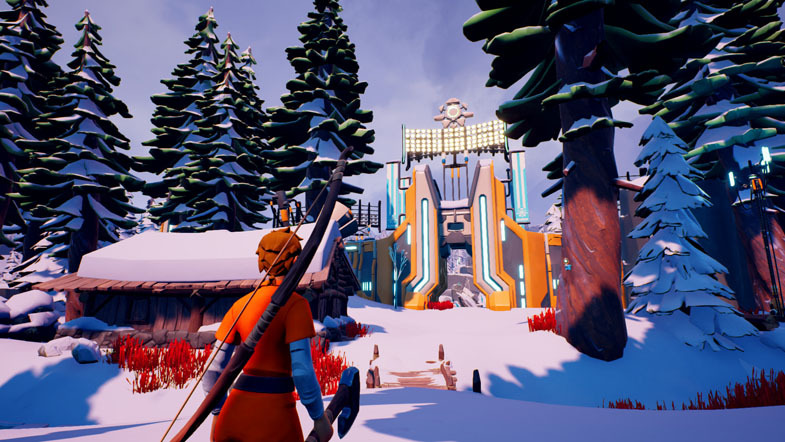 In addition to releasing with all the environmental survival action players have come to expect from Darwin Project’s snow-laden take on the battle royale genre, all the new features unveiled in the last Open Beta are now a permanent part of the manhunt. In particular, Spectator Interactions on Twitch and Mixer were standouts of Darwin Project’s Betas, as they allowed stream viewers to influence the decisions of the Show Director and make an impact on the battlefield. With the game’s release on Early Access and Game Preview, fans can look forward to more engaging streams than ever before. Still hungry for more northern Canadian battle royale goodness? Check out the latest updates from the team at Scavengers Studio! Based in Montreal, Canada, Scavengers Studio is an independent, passionate, and diverse mix of video games veterans (Ubisoft, Riot Games, Eidos, Square Enix...), comic artists, writers/hitchhikers, and other creatives from a variety of disciplines. The team shares a philosophy that interactive media is mankind’s next frontier and, as such, seeks to push boundaries and explore uncharted territory. Their first title is Darwin Project, due for release in 2018 on Xbox One and PC. Set against a post-apocalyptic backdrop, an impending ice age has kick-started a twisted new reality show, in which participants must fight to the death to earn their survival. Darwin Projectoffers a competitive multiplayer third-person experience with an emphasis on survival. Players must withstand extreme environmental conditions, track opponents, craft tools, and set traps to be the last one standing at sunrise.